Its home is the road. Although the fast, sporty, tread-less slick weighs just 295g (35-559) it still has a RaceGuard protection belt and relflective labels. Who loves ya baby? 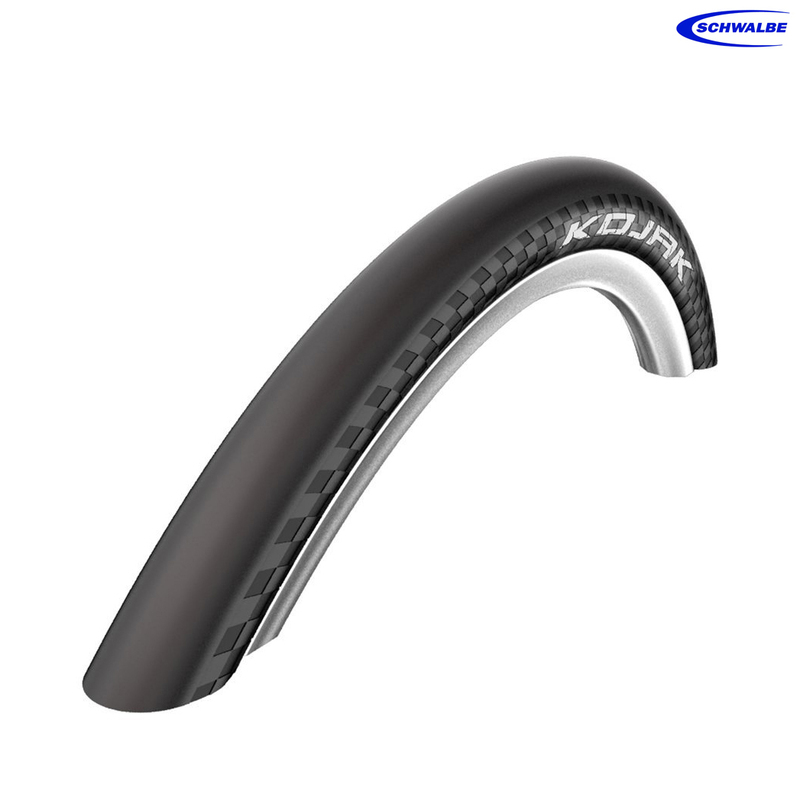 406 size for Trike front wheels give smoother ride than narrower high pressure yet are still pretty fast.Folding option are easy to fit on my rather oversize rims which make fitting of Continental Sports nearly impossible Good resistance to cuts and punctures . This bike comes with 42-406 Marathon Supreme tires, would these Kojaks fit the rims or? Yes these should be fine!